Enjoy rousing nightly traditional entertainment. 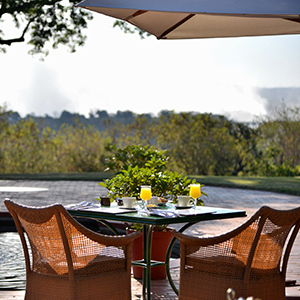 Dining at Jungle Junction offers an unforgettable experience, gazing over the gorge and the spray of the Falls, with a fusion of flavours of Africa. Nightly entertainment from various ethnic groups, including the spiritual, masked Makishi, epitomizes the spirit of Africa. Lavish buffets at the casual Jungle Junction are but one of the many choices for breakfast and dinner. 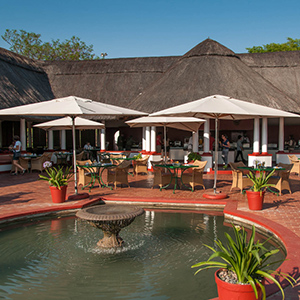 All our restaurants have outstanding locations, making dining around the hotel a memorable experience.